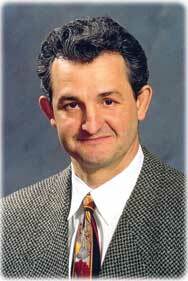 In nine seasons as a National Hockey League coach Darryl Sutter never reached the Stanley Cup final. It took him less than 14 months to accomplish the feat as a general manager. Thanks to his clever moves last summer and his astute trades during the season, Sutter proved to be the kind of successful leader the Calgary Flames had been searching for since GM Cliff Fletcher guided the franchise to the 1989 Stanley Cup championship. All Sutter’s Flames accomplished last year was a 94-point, 42-win season that saw them nail down the sixth playoff spot in the Western Conference. They then caught attention of Canadians from coast-to-coast in the playoffs as they knocked off three division winners – Vancouver, Detroit and San Jose – to make it to the Stanley Cup final. That was territory a Canadian team had not visited since the Vancouver Canucks lost the 1994 final in a heartbreaking seventh and deciding game to the New York Rangers. The Flames came within a whisker of eliminating a fourth division winner last spring, but in the end the Tampa Bay Lightning had more fuel left in the tank to claim the deciding seventh game. Would the Flames have reached such heights without Sutter? It’s unlikely. A big key to their regular season success was Sutter having all his players under contract by the time training camp started, a rarity in today’s world of professional sports. Then there was his trades. Last summer, Sutter’s trade touch began with the acquisition of Rhett Warrener and Steve Reinprecht. It continued during the season when he landed goalie Miikka Kiprusoff, and forwards Ville Nieminen, Marcus Nilson and Chris Simon. In the playoffs, the Flames tied a league record with 10 road victories in the playoffs. They showed the grit and determination that made the Sutter family of Viking, Alberta. famous. Sutter was named the Flames GM on April 11, 2003, 104 days after joining the club as its head coach. In his 22 years in the game of hockey from junior to the NHL, including coaching stops in both the International Hockey League and the NHL, Sutter has reached the post season in all but one season. Prior to the Flames, he coached the San Jose Sharks and Chicago Blackhawks, and cut his teeth in the minor leagues where he coached the 1989-90 Indianapolis Ice to the International Hockey League title. During his eight-year playing career with the Chicago Blackhawks from 1979-87, Sutter scored 279 points (161 goals, 118 assists) in 406 NHL career games. He also added 43 points (24 goals, 19 assists) in 51 playoff games. Darryl along with brothers Brian, Duane, Brent, Ron and Rich collectively played in more than 5,000 NHL games, won six Stanley Cups and scored 2,922 points and were inducted into the Alberta Sports Hall of Fame in May 2000 under the Lifetime Achievement category. Along with his brothers, Darryl is very involved in the Sutter Foundation, started by he and his family in Alberta which raises money for non-profit organizations.